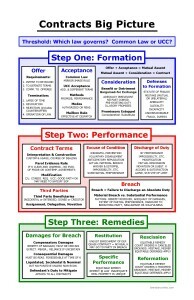 Here is a “big picture” cheatsheet for Contracts law. 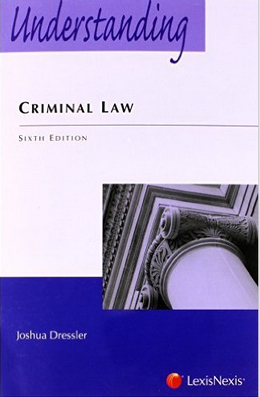 We begin with the threshold issue of which law governs: common law or the UCC. We can then proceed to Step One: Formation, where offer, acceptance and consideration are addressed, as well as defenses to formation. 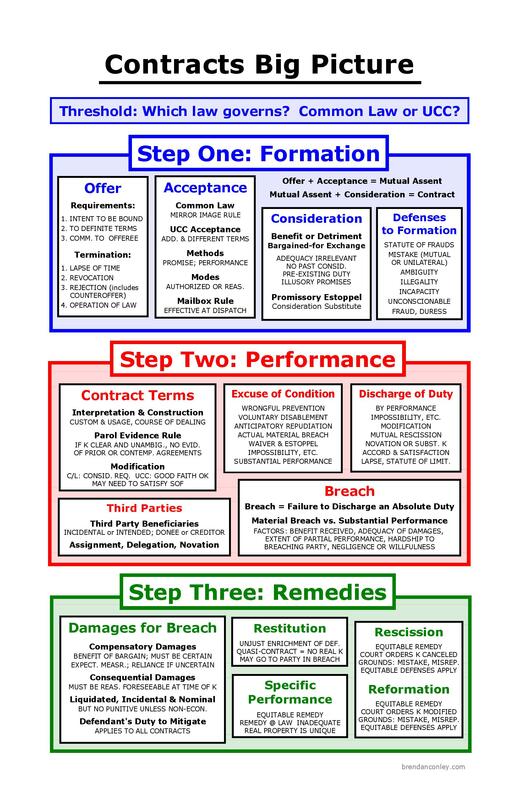 In Step Two: Performance, we look at the contract terms, any third party issues, excuse of conditions, discharge of duties, and breach. 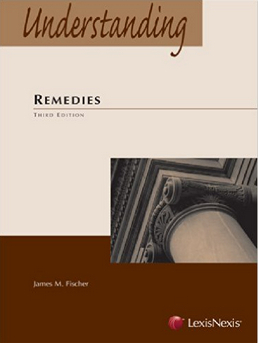 Step Three is Remedies, including damages, restitution, specific performance, rescission and reformation. 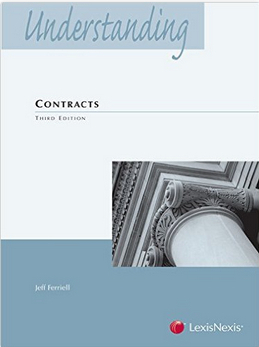 I highly recommend Understanding Contracts by Jeffrey T. Ferriell. 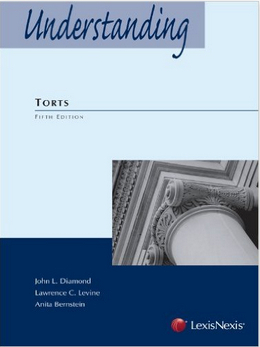 Like the other books in the Understanding series, this volume provides a clear and concise explanation of the law. 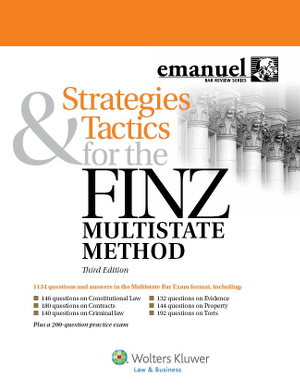 I referred to it regularly in studying for the bar exam and in creating these diagrams, and as usual, I learned much more from the Understanding book than I did from my casebook. If Contracts is not crystal clear to you, and you have not read this book, click on the image to the right to take advantage of Amazon’s Look Inside feature and start reading.